Giagli K, Gričar J, Vavrčík H, Gryc V (2016). Nine-year monitoring of cambial seasonality and cell production in Norway spruce. iForest 9: 375-382. We analyzed the relationship between weather conditions and year-to-year (1981-1989) variation in the seasonal dynamics of cambial cell production (CCP) in Norway spruce in a monoculture forest area in the Czech Republic. We found that the timing of CCP greatly varied among the studied years. The onset of CCP occurred at the beginning of May and was strongly correlated with the April mean temperature. CCP ceased by the end of August. The timing of the cessation of CCP was more variable among trees and among years than its onset. The amount of precipitation positively influenced the duration of CCP and the average rate of cell production positively correlated to the minimum temperature in January-April, as well as the maximum temperature during the growing period. Our results show that the timing and the rate of CCP of xylem cells are influenced by temperature and precipitation. However, weather-xylem growth relations of spruce from temperate forests under climatic conditions are complex, since trees are known to respond less strongly to climatic average variation than influences of extreme conditions. Regional differences in climatic responses of Norway spruce (Picea abies (L.) Karst) growth in Norway. Forest Ecology and Management 222: 211-221. 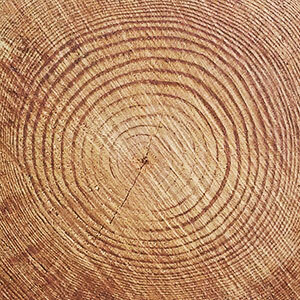 Tree rings indicate different drought resistance of a native (Abies alba Mill.) and a nonnative (Picea abies Karst.) species co-occurring at a dry site in Southern Italy. Forest Ecology and Management 257: 820-828. Resilience of Norway spruce (Picea abies (L.) Karst) growth to changing climatic conditions in Southern Germany. Forest Ecology and Management 315: 12-21. Temporal shifts of climate-growth relationships of Norway spruce as an indicator of health decline in the Beskids, Slovakia. Forest Ecology and Management 325: 108-117. Significant mean and extreme climate sensitivity of Norway spruce and silver fir at mid-elevation mesic sites in the Alps. PLoS ONE 7 (11): e50755. Life strategies in intra-annual dynamics of wood formation: example of three species in a temperate forest in north-east France. Tree Physiology 32: 612-625. Intra-annual tracheid production in balsam fir stems and the effect of meteorological variables. Trees 19: 402-408. Drought alters timing, quantity, and quality of wood formation in Scots pine. Journal of Experimental Botany 62: 2763-2771. Photoperiodic reactions in conifer species. Ecography 2 (4): 255-263. Vulnerability of trees to climate events in temperate forests of West Germany. ISRN Forestry 2013: 1-15. Comparative study of the winter photosynthetic potential of three evergreen conifers of the temperate zone (Pseudotsuga menziesii Mirb., Abies alba Mill. and Picea excelsa Link.). Annales des Sciences Forestières 42: 23-38. Comparison of the SPI and SPEI on predicting drought conditions and streamflow in the Canadian prairies. In: Proceedings of the “28th Conference of Hydrology - 94th American Meteorological Society Annual Meeting”. Atlanta (GA, USA) 2-6 Feb 2014. American Meteorological Society, Boston, MA, USA, pp. 7. Differentiation of terminal latewood tracheids in silver fir trees during autumn. Annals of Botany 95: 959-965. Regular cambial activity and xylem and phloem formation in locally heated and cooled stem portions of Norway spruce. Wood Science and Technology 41: 463-475. Plastic and locally adapted phenology in cambial seasonality and production of xylem and phloem cells in Picea abies from temperate environments. Tree Physiology 34: 869-881. Effects of climate variables on intra-annual stem radial increment in Pinus cembra (L.) along the alpine treeline ecotone. Annals of Forest Science 66: 503. Temperature and precipitation condition in the high elevation spruce stands of Drahanska vrchovina upland. Ekologia 21: 69-87. Effects of environment on the xylogenesis of Norway Spruce (Picea abies L. Karst.). In: “Tree ring analysis: biological, methodological, and environmental aspects” (Wimmer R, Vetter RE eds). CABI International, University Press, Cambridge, UK, pp. 33-53. Climate change 2007: the physical science basis. Contribution of Working Group I to the Fourth Assessment Report of the Intergovernmental Panel on Climate Change. Technical report (Solomon S, Qin D, Manning M, Chen Z, Marquis M, Averyt KB, Tignor M, Mille HL eds). Ambridge University Press, Cambridge, UK and New York, USA, pp. 996. The effect of artificially induced drought on radial increment and wood properties of Norway spruce. Tree Physiology 30: 103-115. Sensitivity of French temperate coniferous fo-rests to climate variability and extreme events (Abies alba, Picea abies and Pinus sylvestris). Journal of Vegetation Science 21: 364-376. The climate sensitivity of Norway spruce [Picea abies (L.) Karst.] in the southeastern European Alps. Trees 23: 169-180. Age dependence of xylogenesis and its climatic sensitivity in Smith fir on the south-eastern Tibetan Plateau. Tree Physiology 33: 48-56. A drought climatology for Europe. International Journal of Climatology 22: 1571-1592. Xylem phenology and wood production: resolving the chicken-or-egg dilemma. Plant Cell and Environment 33: 1721-1730. Climatic signal in annual growth variation of Norway spruce (Picea abies) along a transect from central Finland to the Arctic timberline. Canadian Journal of Forest Research 30: 769-777. Seasonal changes in stem radius and production of new tracheids in Norway spruce. Tree Physiology 23: 959-968. Age-dependency, climate, and environmental controls of recent tree growth trends at subarctic and alpine treelines. Dendrochronologia 31: 75-87. The relationship of drought frequency and duration to time scale. In: Proceedings of the “8th Conference on Applied Climatology”. Anaheim (CA, USA), 17-22 Jan 1993. American Meteorological Society, Boston, MA, USA, pp. 179-184. Growing degree-days: one equation, two interpretations. Agricultural and Forest Meteorology 87: 291-300. Monitoring drought in Cyprus during the 2007-2008 hydrometeorological year by using the Standardized Precipitation Index (SPI). European Water 23/ 24: 123-131. Report on forest and forestry in the Czech Republic by 2013. Ministry of Agriculture of the Czech Republic, Prague, Czech Republic, pp. 30. Comparison of drought indicators derived from multiple data sets over Africa. Hydrology and Earth System Sciences 18: 1625-1640. Radial stem growth in response to microclimate and soil moisture in a drought-prone mixed coniferous forest at an inner Alpine site. European Journal of Forest Research 133: 467-479. Observed spatiotemporal characteristics of drought on various time scales over the Czech Republic. Theoretical and Applied Climatology 115: 563-581. The depiction of drought. Bulletin of the American Meteorological Society 83: 1143-1147. Studies on the physiology of xylem development. Journal of the Institute of Wood Science 6: 3-13. Assessment of cambial activity and xylogenesis by microsampling tree species: an example at the Alpine timberline. IAWA Journal 27: 383-394. Critical temperatures for xylogenesis in conifers of cold climates. Global Ecology and Biogeography 17: 696-707. A meta-analysis of cambium phenology and growth: linear and non-linear patterns in conifers of the northern hemisphere. Annals of Botany 112: 1911-1920. Cambium dynamics of Pinus sylvestris and Betula spp. in the northern boreal forest in Finland. Silva Fennica 38: 167-178. Age-dependent climate-growth relationships and regeneration of Picea abies in a drought-prone mixed-coniferous forest in the Alps. Canadian Journal of Forest Research 43: 609-618. The kinetics of tracheid development in Tsuga canadensis Carr. and its relation to tree vigour. Annals of Botany 36: 179-187. EUFORGEN - Technical guidelines for genetic conservation and use for Norway spruce (Picea abies). International Plant Genetic Resources Institute, Rome, Italy, pp. 6. Candidate distributions for climatological drought indices (SPI and SPEI). International Journal of Climatology 2015: 1-14. Towards a drought watch system based on spatial SPI. Water Resources Management 18: 1-12. Regional drought assessment based on the Reconnaissance Drought Index (RDI). Water Resources Management 21: 821-833. Differences in intra-annual wood formation in Picea abies across the treeline ecotone, Giant Mountains, Czech Republic. Trees 29: 515-526. A multi-scalar drought index sensitive to global warming: the Standardized Precipitation Evapotranspiration Index - SPEI. Journal of Climate 23: 1696-1718. Temperature influence on decennial tree-ring width and density fluctuations of subalpine and boreal conifers in Western Europe since 1850 A.D. Dendrochronologia 14: 127-151. Methodical problems in studies on seasonal production of cambial xylem derivatives. Acta Societatis Botanicorum Poloniae 39: 509-520.